Hanukkah (also commonly spelled “Chanukah”) is an eight-day festival beginning on the 25th day of the Hebrew month of Kislev, which may occur from late November to late December. Hanukkah means “rededication” in Hebrew. The holiday commemorates an event that occurred many centuries ago, marking the survival of Judaism. 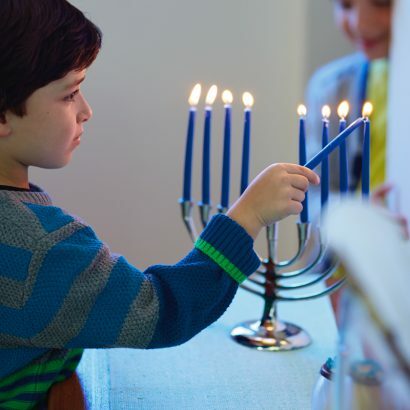 Hanukkah is one of the best known and most joyous holidays for the Jewish community that celebrates family and faith. 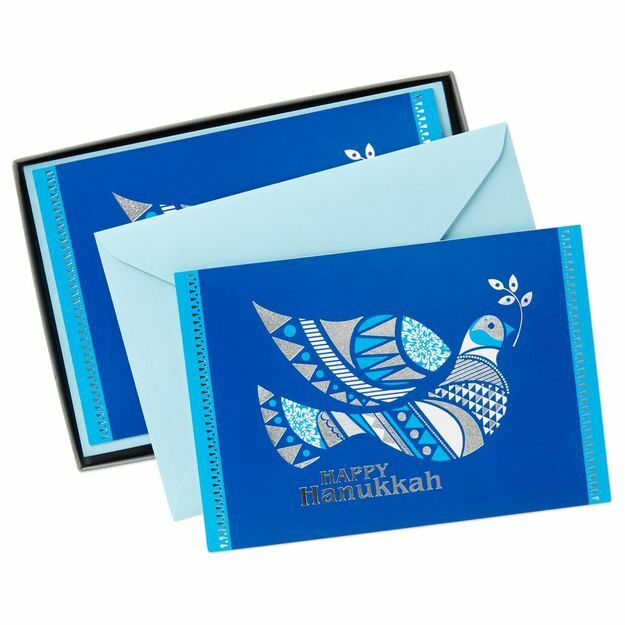 Hallmark first produced cards for Hanukkah in the 1940s. Hanukkah refers to a second century (165 B.C.E.) conflict when Judea was controlled by Antiochus IV Epiphanes, the king of Syria. Under Syrian power, there was a campaign to establish political and religious conformity by “Hellenizing” the Jews, forcing them to adopt Greek dress and customs. In addition, the Syrian emperor decreed that the Temple in Jerusalem, the national house of worship, would become a temple to the Greek god, Zeus. A small band of soldiers led by Judah Maccabee staged a successful rebellion against the Syrians and rededicated the Temple. Hanukkah celebrates the restoration of religious freedom, the preservation of Jewish customs and the traditional Jewish worship service. 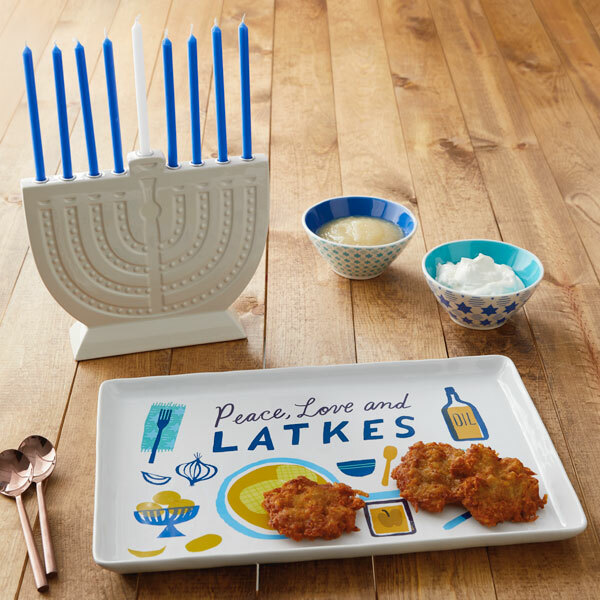 Hanukkah, also known as the “Festival of Lights”, refers to the legend of a miracle that occurred during the re-dedication of the Temple. When the Jews sought to rekindle the menorah in the Temple sanctuary, they found only enough purified oil to last one day, yet miraculously, the small portion of oil burned for eight days – the length of time required to purify new oil. 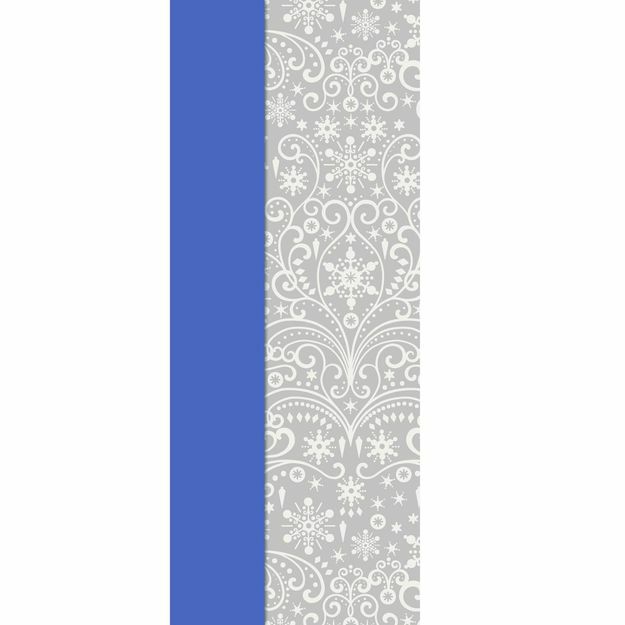 Available at Hallmark Gold Crown® stores nationwide, online at Hallmark.com and wherever Hallmark products are sold. Use the store locator on Hallmark.com to find the nearest retailer.